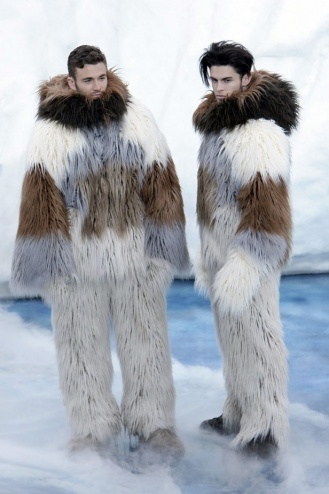 As we all know, fur is a big trend this season, and to be honest it always has been at this time of year. Even in years gone by when faux-fur hasn’t graced the catwalks at London etc., there were always shops selling furry boots, hats, gillets and mittens. Now it is everywhere – you only need to take a look at one of the Chanel adverts in November Vogue and you think Chanel head office has been taken over by a bunch of yetis the models are be-decked with so much fur. 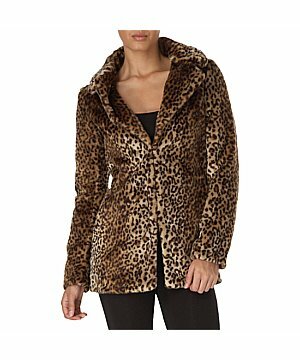 (Just a note; whenever I mention fur I do mean faux-fur and not real fur. If I ever talk about real fur I will mention it is real fur). Anyway, Chanel has proved that it is possible to go over the top with fur, but when done in a subtle way it can really give an outfit an edge – much like leather. When you put leather and fur together though it can be a bit disastrous (Chanel tried) much like when Christopher Kane tried to pair leather with fur and flower prints. That didn’t work either and you can see my rant of a post about that here. Chanel’s A/W collection was a bit of a mixed-bag in my opinion; there were some beautiful clothes and some hideous piles of fur flung on top of models who already had enough to think about by trying to wade across a catwalk which was made entirely of ice. Melting ice which soon turned into ankle height freezing water. Not only did they need a frozen catwalk but they needed icebergs too. I mean come on, your front needed actually needed their hands unfrozen to be able to snap away at the collection and look important with their legs crossed with handbag in one hand and Blackberry in the other. They didn’t want to be sitting there next to an 8.5m high -4 degree iceberg thank you very much. According to Elle Collections: two shoes were lost in the water, 240 tonnes of snice (snow-ice) was used to create the icebergs and 35 sculptors from around the world were drafted in to create the spectacle. All for 20 minutes of “catwalk time” presented by 66 shivering models. Sometimes fashion worries me. With such workwear-inspired A/W collections fresh off the catwalk, i couldn’t leave them all to waste and not talk about them, as now is the time to refresh your work wardrobe for the coming months. I’m really pleased that this season’s workwear is catering for different shapes and personalities – ranging from leather skirts to wide leg trousers. Both equally wearable, both superbly different. 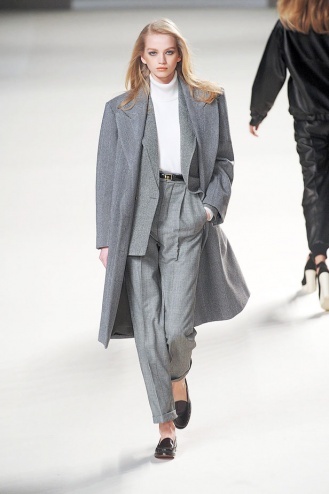 Many designers seem to have used versatile workwear as their focal point for their A/W collections. Take, for example, Chloé. I know I have been banging on about Chloé all summer, but the designs really are something. I hope this post will inspire the career ladies of the world to opt out of the typical black skirt, jacket and heels option for winter and go for something powerful and classy. For high-street alternatives to the beautiful (but scarily expensive) designer versions shown here, then Next has some lovely pieces including tailored trousers, bags, blazers and knits to suit all figures and personalities. A pair of leather gloves are a must for this season, as are loafers and skinny belts, and camel, grey and navy are in vogue. Remember, practicality is the key. Is it just a coincidence, or was the revival of Capes for the new season and the appearance in late July/early August of Holmes and Watson again on our screens a brilliantly arranged scheme on the part of both the BBC and the British fashion industry? 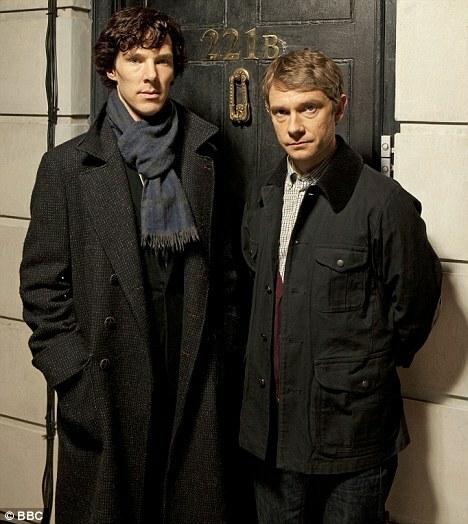 No sooner had the first episode of ‘Sherlock’ aired on the BBC, than appeared in Vogue one of the new ‘statement pieces’ of A/W 2010/2011; nothing less than the cape. They have stormed back onto the scene, seemingly out of nowhere to take everyone by surprise. Shorter capes are apparently in vogue, but they require a twist; ingeniously cut arm-holes or an unseen zip to give an appearance of it being seamless. Bypass the messing around by buying a gorgeous one in camel – this season’s statement colour. The designer version by Stella McCartney comes in at £815 from Net-A-Porter.com, but the high street version, by (dare I say it!) 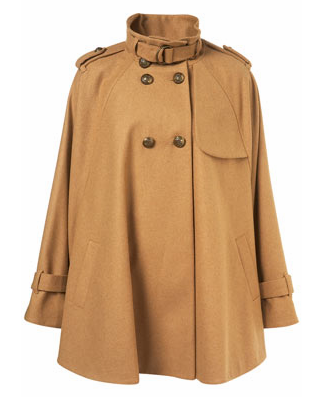 Topshop is £95 (which is pretty reasonable for a coat that will take you right the way through the season). During the summer I bought a more traditional Holmes-esque vintage ’50s cape from Kitt’s Couture, Penzance, Cornwall. It is long and black and 100% wool making it very heavy, but it is incredibly warm and looks great. However, I still feel the need to invest in a piece of camel – it just looks amazing – and for me it is a battle between the H&M wool camel trench and the Topshop cape below. 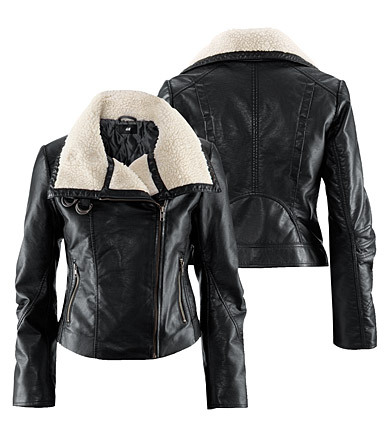 I think H&M will come out on top in terms of price (I think it is about £60?!) and I know I will get more wear out of a trench rather than having two capes. Has anyone else noticed that apart from builders/police(wo)men/or Buckingham Palace guards, no-one seems to be wearing hats anymore? Obviously people wear hats for special occasions and when it’s warm/cold, but there seems to be a lack of people wearing hats purely for the sake of it! I am not a part of this majority, as I am faithful to my own collection of French Berets ( I own quite a number: black, beige, red, purple, blue, green, yellow and pink) and I enjoy the calls of “bonjour!” (in English accents) and the odd looks I get whilst out and wearing one. It’s not just berets – any kind of hat is great. I love hats because they give people character, an air of satisfaction with one’s outfit; so much so that they feel the need to complete it with a hat in their choice of style, size and colour. Hats shouldn’t be worn simply for practical reasons; they should be worn just because they can be – if only for the pleasure of wearing one. Be it a a beret, a bowler, a panama or a trilby – they all make heads turn. Chloe. In a word, chic. Pure chic. On perusing my ‘Elle Collections’ guide to the coming season’s collections, I was at once alerted to the new ‘statement’ colour for Autumn/Winter 2010. Camel. Interesting, I know, but once you’ve spied one of these beautiful Camel trench coats (my favourite by far is by Chloe), you’ll never frown at the word ‘camel’ again. 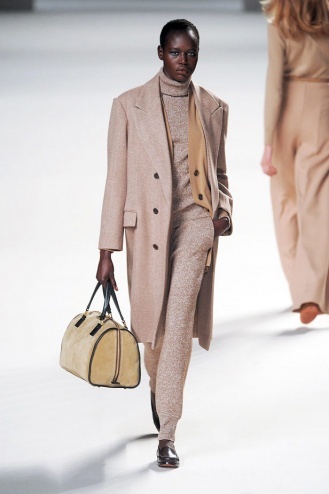 I am a big fan of trench coats (as you might have noticed) but these warm woolen camel versions by Chloe take the ‘trench’ to a new level. They are effortlessly elegant, and give an impression of intelligence. A woman lucky enough (and rich enough) to be wearing one these is a woman who means business. I opened the double page containing all of the new Chloe designs (33 to be precise) and was at once struck by the way the page leapt out at me as quite simply a page of camel. Oh and grey. There are but 3 designs out of the 33 present that do not fall under either category. Chloe really are sticking to their guns on this one. It sounds dull and work-wearish but it isn’t at all. After all, not all the garments hanging up in a woman’s wardrobe can be showy and bright. You need some staple statement pieces and colours dotted in there as well otherwise the whole thing is thrown completely off-balance and you end up looking like you work as a model in a fancy-dress shop. Chloe’s designs include tapered trousers, trench coats, blouses and jumpsuits. 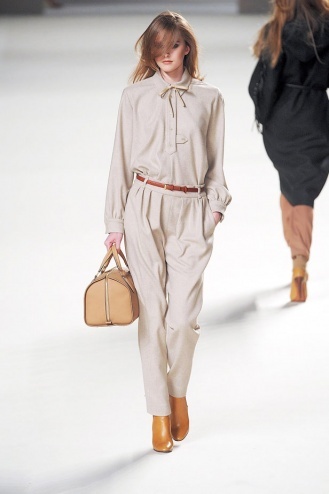 The jumpsuits are a work of art; my particular favourite is in light grey, with a tapered trouser (including a skinny brown belt to almost split the effect into that of a blouse and trousers) and a long-sleeved blouse with a bow to tie at the neck instead of a collar. It is beautiful, and though it is a colour often associated purely with workwear – it really would stand out in a crowd. Skinny belts have evidently made a comeback this season, as have high-waisted and tapered trousers, and if Chloe is anything to go by then we really are in for a treat this season. The designs featured in forthcoming collections are not outlandish or garish in any way – they are more subtle, and focused – all heading in a specific different direction to each other: Givenchy does black, Burberry Prorsum does jackets, Miu Miu does romance, whilst Stella McCartney goes for the easy one-piece jaw-droppers. They go on and on and on. 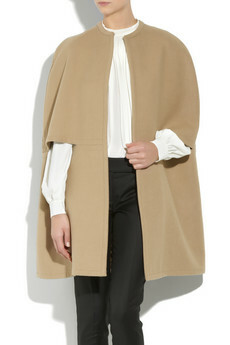 I’m really excited by all of the new collections hitting the catwalk for Autumn/Winter 2010. All the designers seemed to have pulled out all of the stops this season, though they are all going for slightly different things – and this is what is so brilliant! A perfectly rounded wardrobe would be made up of one or two pieces from each collection – and if only we could all actually buy them. But it’s still nice to day-dream…. As much as I love Cornwall, the lack of vintage shops in the county is a bit of a let down. So you can imagine my delight when I can peruse one of the few that exist down in this beautiful part of the country. I am speaking of Kitt’s Couture – a cosy little vintage shop hiding away on a little street off the main road in Penzance. If you’re not familiar with Cornwall, you might have come across Penzance as it is the most westerly train station in England, and holiday-makers from London will venture down to the west-country on the Paddington to Penzance line. Kitt’s Couture is what I would describe as a ‘proper’ vintage shop. It’s not just a glorified charity shop, it’s a beautiful collection of clothes, hats, shoes and other accessories from the 30s, 40s, 50s and 60s. Complete with old-fashioned mannequins, and posters and adverts from times gone by – you would expect the items within to be very highly priced, and though some of the dresses and coats are verging on the £60 mark, there are some lovely pieces in great condition and of good quality for quite reasonable prices. For instance, I tried on a wonderful black woollen cape (as they are back in for Autumn/Winter) and although it was unfortunately a little too big on the shoulders, it was still at a fantastic price at only £28. Do have a look around the site which is http://www.kittscouture.co.uk/ and if you ever get the chance to visit, it is well worth a look. You really do feel like you have stepped back in time. I wish I could linger there. After Monday’s post on menswear I was delighted to watch Benedict Cumberbatch in his portrayal of a modern day Sherlock Holmes at 9 o’clock Sunday evening on BBC 1. Not only did it prove to be excellent viewing (and I recommend it to anybody who appreciates it when the BBC do something a little different) but I have to congratulate the wardrobe department working on the programme for Mr Holmes’ smooth, sopthisticated attire. I am not so much of a fashion geek that when watching tv I concentrate solely on what the actors are dressed in, but Mr Cumberbatch Esq. was wearing such a beautifully crafted black trench coat that I had a desperate urge to contact the BBC and find out who designed out to see if they could possibly rustle me one up for the coming Autumn/Winter. I have always preferred trench coats to other coat styles but the BBC had really surpassed themselves with the one they had provided for Cumberbatch. Sleek, warm (obviously having been filming in Winter) and utterly sophisticated it gave Holmes all the necessary attributes to run around London being annoying clever and hilariously sarcastic in the process of finding a serial killer. What is great about this outfit is that it looks great and is really practical at the same time – exactly what it should be. Seriously, if you didn’t catch it, i-player it. There are two more episodes on Sunday 1st and Sunday 8th – 9 -10.30 pm on BBC 1. The wardrobe department also had the good grace to give him a nice knit scarf which toned in perfectly with the coat. If only his lovely shirt had been a tiny bit roomier; as the buttons were being slightly stretched – then the outfit would have been complete. Hopefully this issue will be rectified by next week. As to Dr John Watson (played very well by Martin Freeman in a kind of understated-but-quiet-genius-at-the-same-time fashion), I wasn’t too impressed by his cream knit jumper and cords, but considering he was an injured Afghanistan soldier returned home I’m happy to let him off the hook. Hopefully now he’s living with Holmes, some of Sherlock’s style sense will rub off on him. Considering in the original Conan Doyle works it is Watson who is the dapper of the two and Holmes seems not to bother about his appearance it is interesting to see that the BBC have gone in for a bit of role reversal. Nevertheless I can’t wait for the next episode, and I’m secretly hoping Holmes might branch out into a nice hat and a pair of black leather gloves. Here’s hoping. Menswear, womenswear. Very different, but both very important. We know enough about women’s fashion to last us a life-time – with the amount of glossy magazines available dedicated solely to women’s fashion. With men it is less so, and I honestly can’t name a single magazine about men’s fashion. That’s how bad it has got. I think the reason why fashion is often related more to women than men is not because men aren’t bothered about style or because they can’t dress themselves properly – it’s more to do with the fact that there aren’t any major outlets for men to read and learn about fashion, or even to watch! Think about the tv programmes that revolve around women’s style: What not to wear, Gok’s fashion fix, America’s next top model. It’s ok for people like Alexander Wang, Henry Holland and Christopher Kane, but less so for Joe Bloggs on the street, wondering what to wear at the weekend. I read a brilliant little bit in Wednesday’s Fashion pull-out in the Times from a man they had styled. They were asking him questions about men’s fashion, and when asked if he thought there was as much pressure on men as women to look good he replied that “Men want to look fashionable these days, but most don’t know how to do it”. Which is so true. He also said that the “Social uniform that so many guys wear: G-Star jeans, Diesel trainers and trendy t-shirt” really winds him up as it has no individuality. I tip my hat to him for saying “I don’t think anyone would necessarily look at me and say that I’ve got style, but at least I find my clothes from more interesting sources”. What a statement. What an honest guy. And he’s right. I have seen menswear specials occasionally appearing in The Times – but apart from that I don’t often see men’s fashion apart from what I see out and about on the street – and some of this could hardly be considered fashion; more like the uniform dressing of jeans, trainers and Superdry t-shirt. These people have no individuality, and I have seen it many a time at past school non-uniform days. Enough Abercrombie and Superdry that everyone wearing it might as well have worn school uniform they all look the same. The few of us that express our individuality in our clothes get funny looks which make us feel both uncomfortable all day and wonder why so many people are shallow enough to think we are weird because we are doing our own thing. For men wanting to read up on this seasons styles and menswear then I recommend reading The Times on a Wednesday as their fashion pullout has a double page spread dedicated entirely to menswear, as do their Saturday ‘Magazine’ and Sunday Times ‘Style’ magazine. The web is the best place to find up to the minute info on men’s clothing and I particularly recommend any male readers to take a look at the ‘Street Etiquette’ blog which you’ll find on my blogroll on the right. 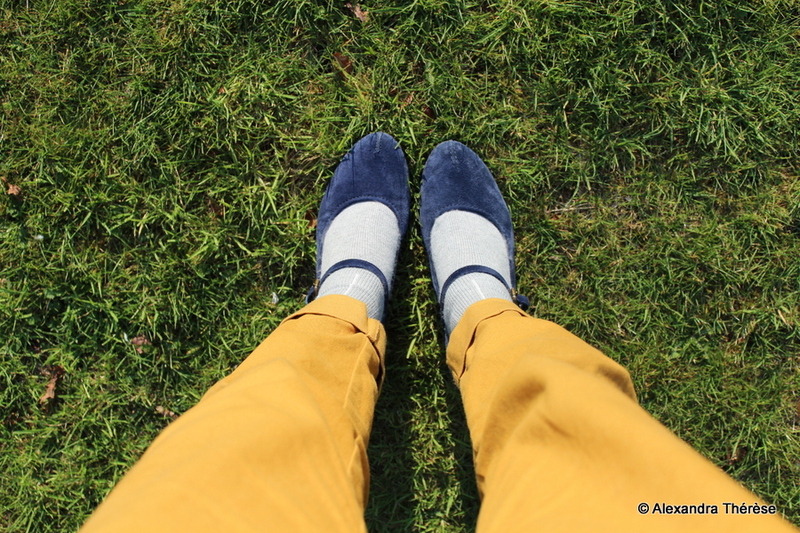 Two men from New York expressing themselves on their blog in words and photos about their outfits. They are rather inspiring.